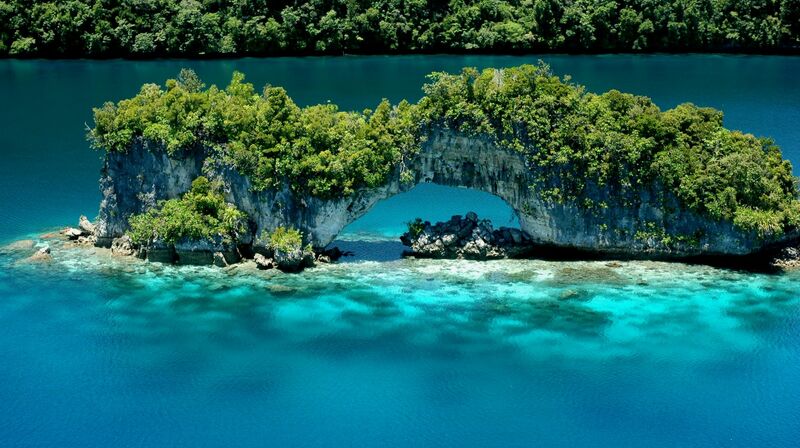 Many regard Palau diving as the best in the world, and with good reason. Boasting a complex coral reef system, secluded coves, and teeming sea life, plus stark relics of World War II, the magnificent waters around our Koror resort prove irresistible to the novice and experienced alike. Prefer to snorkel or stay above water in your kayak? You can do that too when you stay at our distinguished Koror resort. Explore water sports and other things to do in Palau below when staying at COVE Resort Palau. 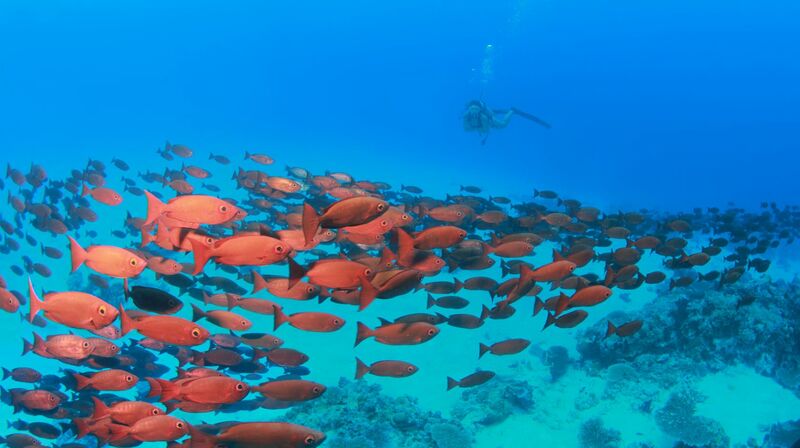 The crown jewel of things to do in Palau, diving is a world-class experience for visitors to Palau. COVE Resort Palau is within walking distance of some of the best diving tour operators: NECO Marine Tours, Sam's Tours, and Impac Tours. 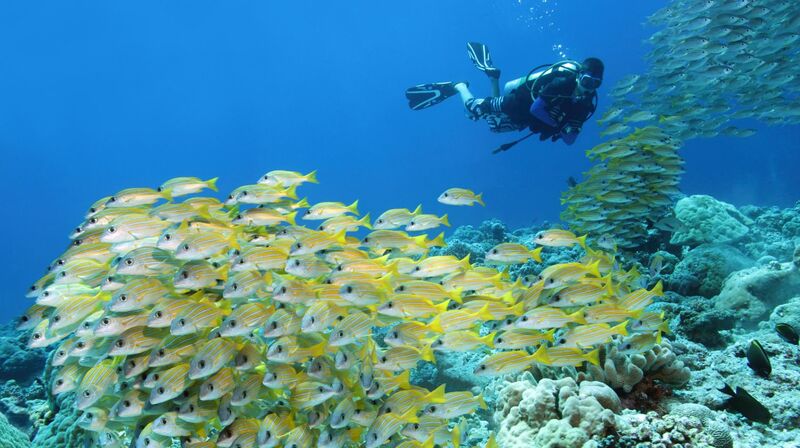 On a scuba diving adventure, divers can expect to explore fascinating coral formations, reef corners where sharks hang out, rays and schooling fish, channels and other sandy bottom sites, tunnels, caves, and caverns. Keep in mind that Palau is considered an advanced diving destination, due to frequent currents and depths, but there are several easy dive sites for beginners, too. Tour Rock Islands on a Palau kayak while exploring one of the most diverse and pristine marine ecosystems in the world. Explore a variety of different habitats, pristine coral gardens, reef fish nurseries, secluded lagoons, marine caves, limestone tunnels, WWII sites, historic Palauan villages, and stunning tropical beaches. Three major ocean currents feed this pure archipelago in the western Pacific, making it a fertile marine garden whose turquoise waters are teeming with rich sea life. The area is revered for its secluded coves, marine lakes, and sunken World War II relics, all must-sees on a snorkeling adventure. Palau's turquoise waters are teeming with big jacks, Spanish mackerel, or the ultimate game fish, gigantic Marlin. Thanks to a variety of traditional conservation methods, there are healthy fish populations. Team up with one of the organized fishing tours or charter a boat with seasoned crew members from any of the boat operators to begin your fishing adventure in Palau. Get up close and personal with these intelligent creatures while you learn all about them. Give them a pet without jumping in with them, or put on some gear and swim in symphony beside them. There are also opportunities for free diving with dolphins using a scuba tank. Learn more here.